Gather your family or a group of like-minded friends and consider adding “Trip to Northern Italy” to your Christmas list! Focus on a certain theme – like golf, hiking or walking, cooking, dining, wine-tasting, painting, photography, art & culture, cycling, shopping – or arrange for a custom trip that includes a bit of several different activities. Day trips to famous wine-growing regions (fabulous lunch included) or maybe a 2-hour train ride into the Swiss Alps for a stunning panoramic view and a lovely lunch? Or maybe to the elegant villas of Lake Como? Contact us at poggioverdevilla@gmail.com for more information. Or join our mailing list and “like” our Facebook Page for updates. 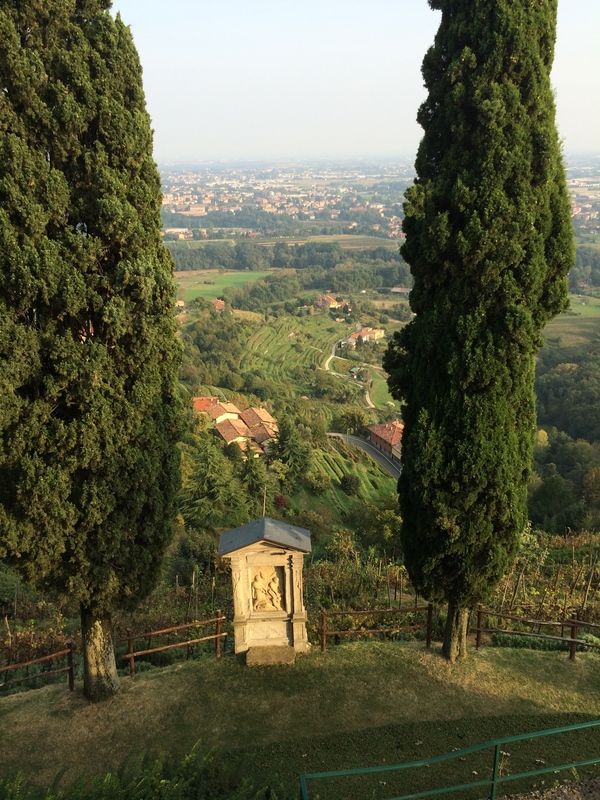 The view of one of the stations of the cross behind the church at Montevecchia, 15 minutes from Poggio Verde. This entry was posted in christmas, day trips, holiday, italy, poggioverde, trips to northern italy and tagged art, brianza, culture, golf, hiking, lakes, wine tasting. Bookmark the permalink. ← Tasty Weekend at Agriturismo Giovanna Passeri!